When we think of outdoor photography—especially in the context of hunting and fishing—it’s often the bruiser buck, strutting tom, or splashing largemouth that steals the focus. I can clearly remember the defining moment when I stood back from my camera and realized that focusing on the hunter or angler, not the animal, often created the most compelling images. I think these photographs are gripping because I am able to place myself in the boots of the subject. In them I often find the intricate details that represent my life as an outdoorsman and a conservationist. The right combination of level and lighting allows the subject of your photo to shine. This is age-old in the school of photography: always be aware of the light. Early mornings and late evenings are the golden hours. If you live out west, you’re already at an advantage as the light there is the best I’ve ever seen. Blown out skies or too much flash can give a falseness to the authenticity that you’re trying to accomplish—much like a living room full of plastic chairs. This is a convenient aspect of photographing the hunter rather than the hunted. They allow you to get incredibly close without the fear of stomping hooves, harsh blows, or white flags. Don’t get so close that you lose a sense of the surrounding landscape, but near enough the viewer is able to develop a sort of intimacy with your subject. The third—and possibly most important—tip is to be very conscious of the angle at which you take the photo. I try in vain to never ever shoot down on a subject, but dead level or up. When you shoot down on something, whether it’s an animal, person or still life—with the exception of food—you’re belittling the subject. Capturing a photo looking up has a way of making the subject larger than life. Don’t keep all of your photography buried on your hard drive. When you feel you’ve captured some quality images share them with friends, family, and the public. Their feedback will make you an even better photographer, and, if you’ve done it right, they may just find a little piece of themselves in each shot. Have a photo you'd like to share with our 1Source community? Be sure to share it on our Braggin' Board. Josh Wolfe is a freelance writer and photographer and the editor and publisher of The Golf Sport magazine. A graduate of Auburn University (B.A. English) and the Savannah College of Art and Design (M.A. 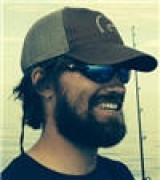 Photography), he got his start in the outdoor industry first as a columnist with Outdoor Hub, which he maintains today, and later as an associate editor with Sporting Classics magazine and the editor of its online publication, Sporting Classics Daily. He lives on a farm just outside of Lynchburg, Tennessee, and won’t hesitate to tell you Jack Daniel’s is most effectively consumed neat. See more of his work at www.joshwolfeoutdoors.com and www.golfsportmag.com.